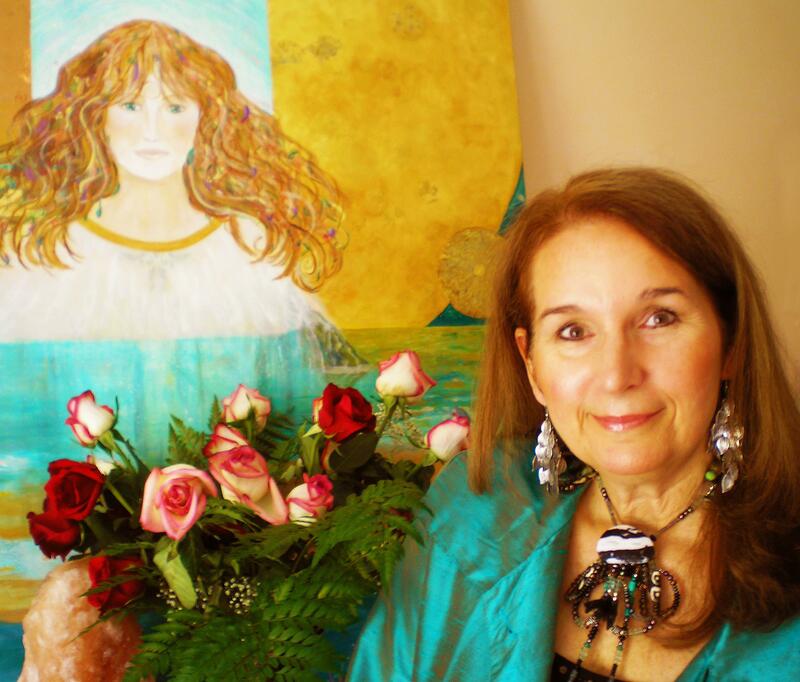 Joanne Koenig-Macko is a world-renown spiritual artist, creating high-vibrational art with a vision and purpose. Joanne loves writing as well. Her artwork has been collected globally by world leaders, ambassadors and art collectors throughout the world. Her World Peace Angel has been presented in front of 20 nations at the United Nations to former President Rodrigo Carazo at the White House and to many ambassadors. Joanne is also a spiritual life coach, ordained minister and has studied with masters around the world to learn countless healing modalities and has worked on over 6,000 clients, including teaching prisoners how to view life differently. She is known for producing her annual Lightworkers Conference for the last 14 years to bring humanity together in these changing times. Joanne was the first recipient globally to receive a humanitarian award for excellent in art to help humanity which was presented to her by best-selling author and philanthropist, Barbara Marx Hubbard at a ceremony held in Chicago. Joanne has also served as Director of International Angels for World Peace, under the umbrella of World Citizen Diplomats. Her 2nd book has just been published and this is the first venue it will be debuted at: SURVIVING EARTH SCHOOL, a humorous look at life in the spiritual world, a must read! Joanne will be speaking near Rochelle, IL. Aug. 11th to an audience of 80 people. She will also be in several shows in 2018, such as the TheosoFEST, Wheaton, IL., Sept. 8th, Soderworld in Willowbrook, IL. on Sept. 15th, Lightworkers Conference at Benedictine University in Lisle, IL. (www.LightworkersConference.com) where she will be selling her book and art.